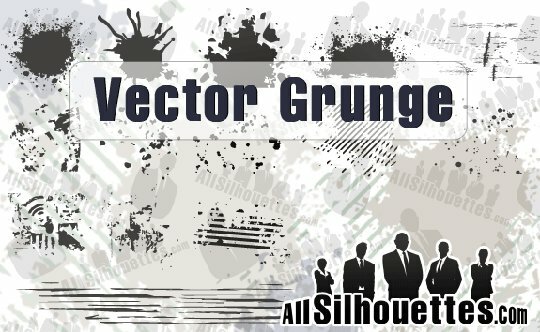 Free Vectors - the latest grunge edition ! ! ! Vectors are incredibly common with design elements. Whether it’s a pure vector-based illustration, an overall graphic design composition with some vector elements, or a web design with vector backgrounds, having some quality vectors in your arsenal can be a real asset. Nowadays grunge graphic is almost everywhere: prints, T-shirts, web, flyers and posters etc. Grunge style means dirty look with irregular, nasty, sometimes even ugly and crooked visual elements. Grunge doesn’t necessarily stand for dirty. Grunge designs may have subtle dirty elements, providing the content with the dominant position it deserves. Here you have 10 of the best grunge free vectors that I picked up for you.